Silverchair Biography, Discography, Music News on 100 XR - The Net's #1 Rock Station!!! This Grunge Alternative-Rock trio started out as a cover band in 1992 in the Newcastle surf suburb of Merewether, 100 miles north of Sydney, AUSTRALIA; the group's members were all born in 1979, singer+guitarist Daniel Johns and drummer Ben Gillies started making music together at primary school and schoolmate Chris Joannou later joined on bass. When they signed to Murmur Records, a subsidiary of Sony, in 1994, the band changed its name from Innocent Criminals to Silverchair and that August they released their first single "Tomorrow"; the song eventually spent 6 weeks at #1 on the Australian Singles chart and 20 weeks in the top 10, in 1995 it became the most played song of the year on U.S. Modern Rock radio. Their explosive debut full-length album, "Frogstomp", came out in early 1995 reaching #1 in Australia and #2 in New Zealand; six months later "Frogstomp" crashed into the top 10 of The Billboard Top 200 Albums chart, selling nearly 3 million copies worldwide; in the United States "Tomorrow" hit the #1 slots on both Mainstream and Modern Rock charts, "Pure Massacre" smashed into the top 20 in the same charts and the final single, "Israel's Son", was minor hit. To support the album's release, the band embarked on a U.S. tour for the first time with The Red Hot Chili Peppers. 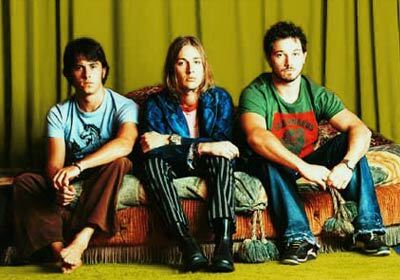 Silverchair's sophomore album, "Freak Show", which was released in February, 1997, shot to #1 on the Australian Albums chart with three top 10 smashes: "Freak", "Abuse Me" and "Cemetery"; the full-length disc has also enjoyed chart success in Europe cracking the top 40 in Britain, in America it rose to #12 on the U.S. Top 200 and hit #2 on the Top Canadian Albums chart, selling one and a half million copies and spawning two Modern Rock top 30 hits including the #4 "Abuse Me" and "Freak". The band's third LP, arrived in March 1999 titled "Neon Ballroom", it went straight to #1 in Australia; in Europe and South-America the record became the group's most successful album to date, but in the U.S. it missed the top 40 of The Billboard 200 list; "Neon Ballroom" included "Ana's Song (Open Fire)" and "Anthem For The Year 2000", both the tracks peaked at #12 on The Modern Rock chart; distinctive tracks like "Emotion Sickness", recorded in collaboration with classical pianist David Hefgott and the aching "Miss You Love" established the group's staying power once and for all. The band toured Europe and the U.S. throughout 1999, Silverchair's one and only gig in 2000 was a sold out appearance at Australia's Falls Festival on New Years Eve. It was followed on January 21, 2001 by the biggest show of their lives, 250,000 people at Rock In Rio, a performance which the band describes as the highlight of their career to date. In June 2001 the band started work on their fourth album, their first for Atlantic Records; "Diorama" entered the Australian Albums chart at #1 in April 2002. It yielded the top 10 singles "The Greatest View" and "Without You" and the top 20 hit "Luv Your Life" as well as the airplay favourites "After All These Years" and "Across The Night". 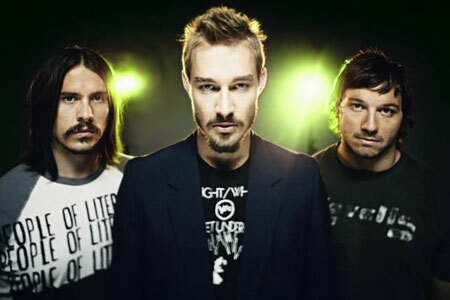 The album's international performance was unfortunately impeded by the band's inability to tour or do promotional appearances due to Daniel Johns' ill health; "Diorama" made a mid-chart appearance peaking only at #91 on The Billboard Top 200. The singer+guitarist spent 2002 battling a severely debilitating case of reactive arthritis from which he is now completely recovered. In October, that same year, the band's work on "Diorama" won them six ARIA Awards, including Best Group and Best Rock Album. From March to June of 2003 Silverchair finally got to play the album live, their "Across The Night" tour sold out around their homeland in minutes and was the largest of their career. The band also played multiple sold out shows in the U.K. and America. This remarkable tour capped a roller coaster year for Silverchair, a year which in many ways traced the journey of "Diorama" itself, from bleak times into a much happier new dawn. The event was captured in a multiplatinum CD/DVD set called "Live From Faraway Stables" that was released in late 2003. The band then went on an indefinite hiatus. In April 2004 frontman Daniel Johns released the first album with his side-project, The Dissociatives. Silverchair resurfaced in March 2007 with its fifth studio record, "Young Modern". The first single lifted from the album, the slow burning epic "Straight Lines", enjoyed phenomenal airplay, it spent four weeks at #1 in Australia and peaked at #12 on the U.S. Hot Modern Rock Tracks.